This weekend we are going to share the love this weekend. 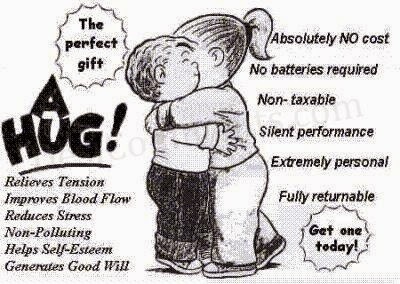 Friday, Saturday and Sunday, give out 5 genuine hugs each day. Give them to family, friends, neighbors, and even strangers (if you ask first). Share the love, people.